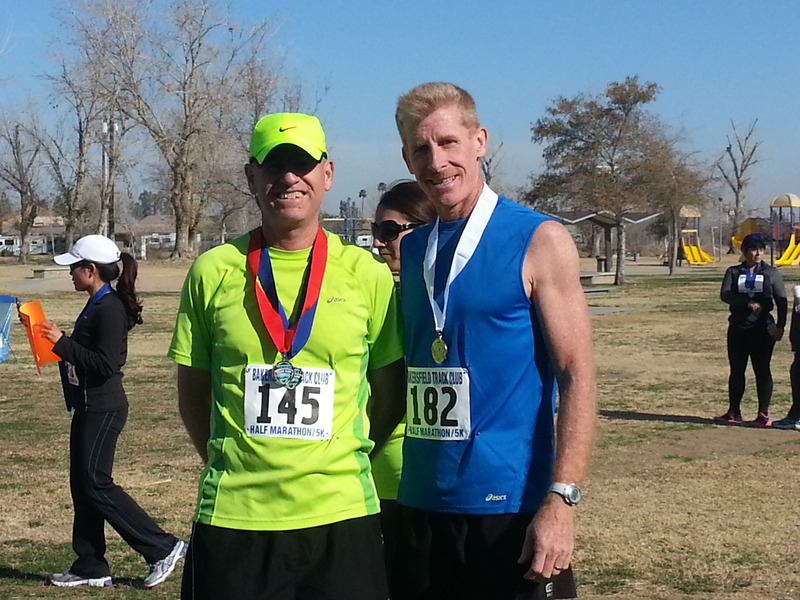 Today was my 19th half marathon and surprisingly, my 8th in Bakersfield. I ran my first one in February 2009 a week after my first BQ – the Surf City Marathon – 3:21:50. That same year I went back in November and ran again. Back then they ran two half marathons a year, and called them the Two Halves Makes a Whole Half Marathons. 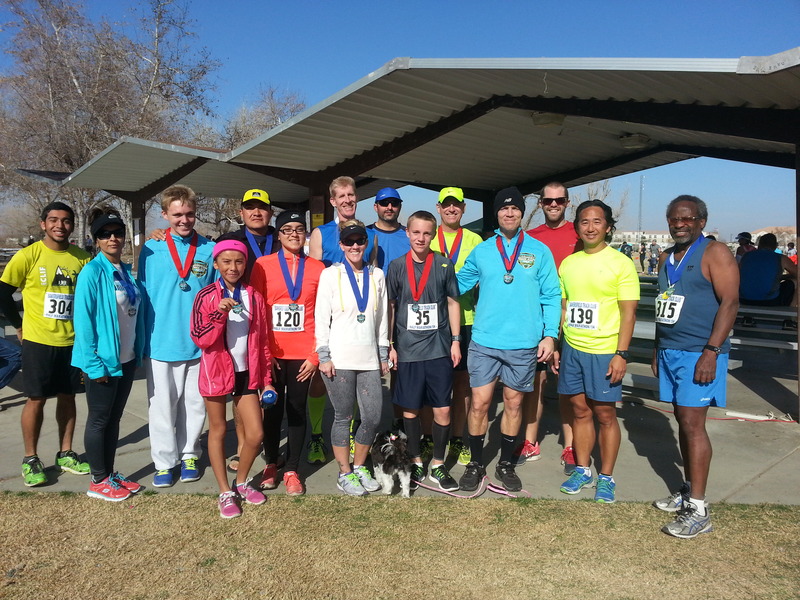 The Winter Half, like todays, started at Yokuts park and headed southwest out and back. The November half started at the same point and went the opposite direction. They gave you a half a medal in February and a half a medal in November. They fit together to make a whole medal. Oops, I gave today’s result away. My biggest goal for today was to see if I could beat my time from last year. It was a rather lofty goal, as last year, in January I was running very well. In December I had run Santa to the Sea in 1:31:39. On the day of the race I was a little under the weather and I faded pretty badly. This year, though I have been working through lots of ups and downs and set backs. In December I ran Holly Jolly in 1:43:48. Still, after the 1:43 I ran sub 1:39 in LA…. LA was hilly. Bakersfield is flat. I set my goal for 1:34. I was on pace to meet my goal for most of the race. Miles 11 through 13 I dropped off the pace. I did not feel like I slowed. I actually caught a few people in these last two miles. But still you can see from these splits that I dropped off the pace a little too much here at the end: 6:56, 6:58. 7:07, 7:11, 7:08, 7:10, 6:58, 7:14, 7:10, 7:15, 7:27, 14:57 (missed 1 split) I knew going into the final dirt path home stretch I was cutting it really close. I did not make that sub 1:34, but I am really happy with the 1:34:33. The HDR was well represented today. All 4 of the Rubles, all 4 Gutierrezes, the Diorios, the Dempseys, Clay, Jim Pandya, Joe Kim, Jesse Williams and Caleb Schroeder were all there as well. Cade and Brock Ruble, the Diorios and Charles Dempsey ran the 5k. I have not seen official results yet, but Cade finished in 17:40 ish and was 2nd place overall. Brock had a great time that was sub 21. I did not hear about the others. In the Half, Caleb and Erik finished in 1:27. Erik won 2nd in his age group. 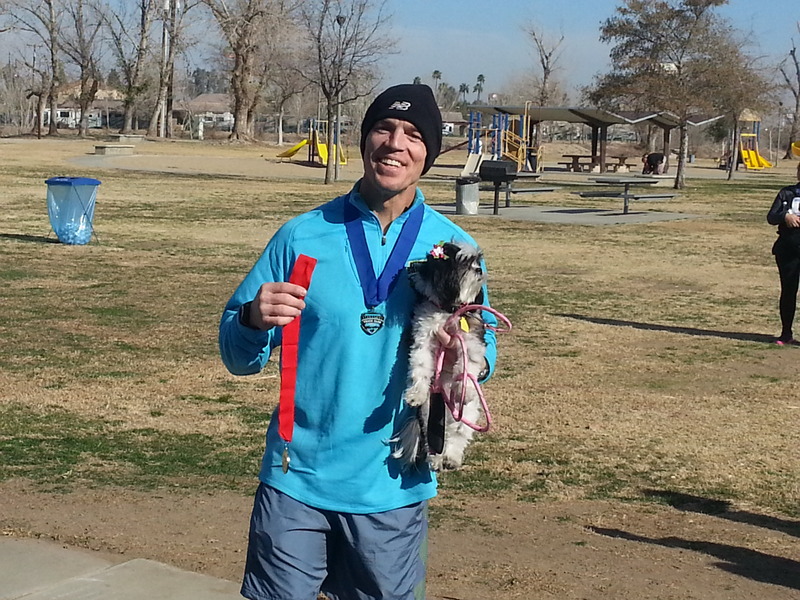 I was next in and also won a 2nd place age group. Oscar started very quickly. He was right behind Erik for 2 or 3 miles out ahead of me. I did not catch him until mile 6. Oscar got a PR. 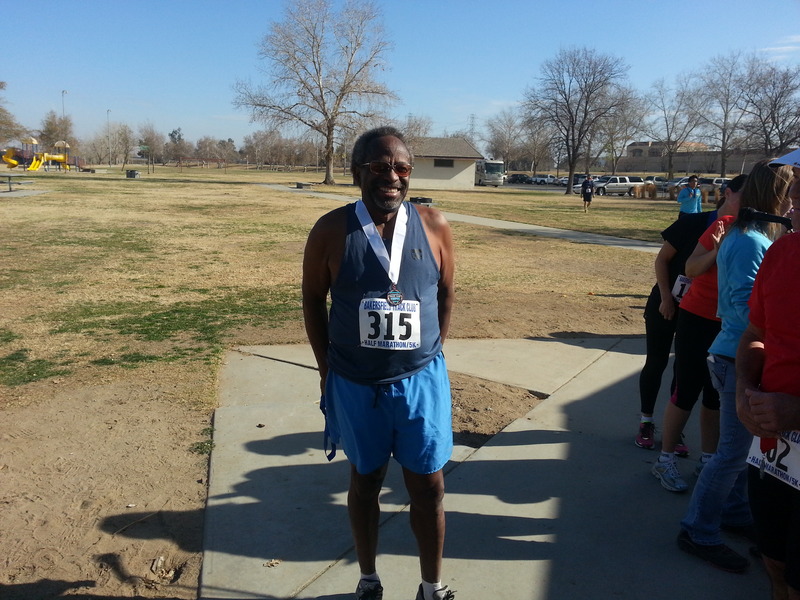 sub 1:39 – tough age group though – 6th place. Clay did not really race, he held back from the beginning. The back half he was chasing Oscar and finished less than a minute behind him – good for a 3rd place medal. Joe Kim was next around 1:41. 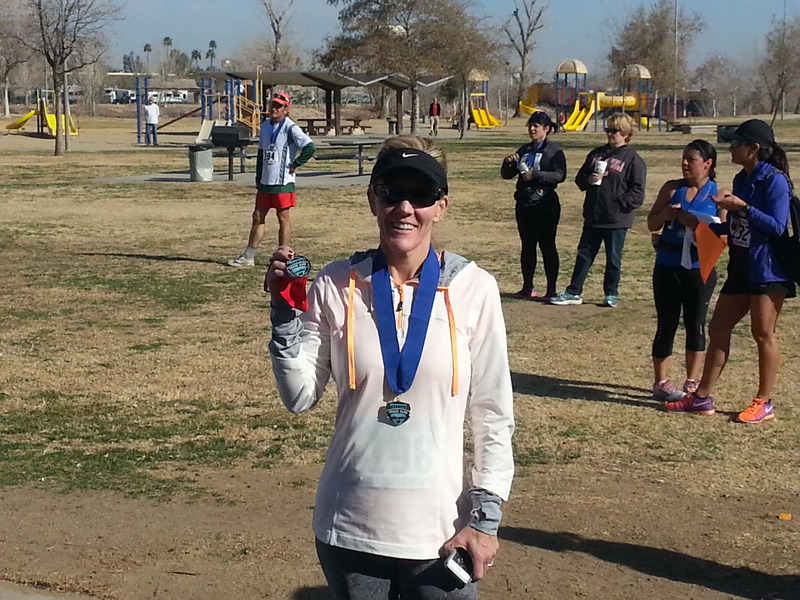 Krysti was in the 1:40s and placed 2nd in her age group. Dora ran with Natalie and they came in in the 1:50s, I think. I don’t have much idea on anyone else’s time, but Jesse placed third in his age division. Great job! Considering your lack of long runs, you should be very encouraged with a 1:34. Congratulations to everyone on their outstanding times and places!